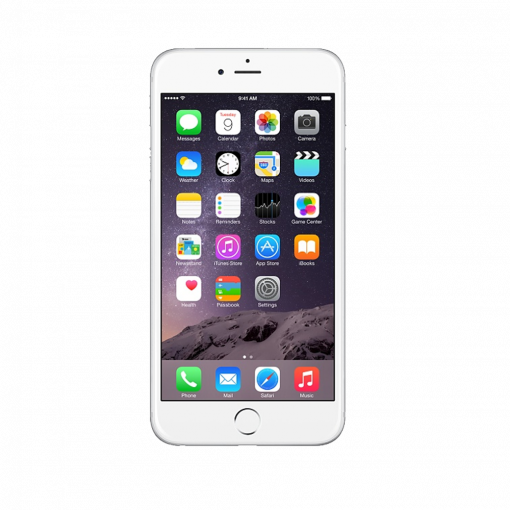 Sell iPhone 6 | How Much is My iPhone 6 Worth? Sell your iPhone 6 for top dollar at GreenBuyback. Select the information above in order to receive an accurate quote for the iPhone 6 you want to sell. Click sell item if you agree with the price that is displayed. GreenBuyback purchases cell phones, tablets, and laptops at the highest prices in the industry! GreenBuyback pays cash for your old cell phones, tablets, and laptops. When you sell your cell phone, tablet, or laptop to GreenBuyback you will never have to pay to ship. GreenBuyback is dedicated to maximizing the cash back to our customers. Sell your iPhone 6 for cash today! Debuting in September 2014, the iPhone 6 features a 4.7-inch screen and an all-metal body. It has a more curved design than the iPhone 5, with the display glass folding slightly over the edges, giving it a more rounded design, which is a detour from the industrial harder design of the previous iPhones. The power/sleep button has been moved to the right side on the iPhone 6, making it easier for one hand use. GreenBuyback will buy your iPhone 6 in any condition, even broken! Simply head to GreenBuyback to get a quote, send your iPhone 6 in, and get cash quick! The storage capacity in the iPhone 6 is larger; at the high end of pricing, the storage capability is 128 GB. The camera is very much improved on the iPhone 6 with a better autofocus and lens. Many find the wireless connection is quicker on the iPhone 6, as well. Selling an iPhone 6 is so easy with GreenBuyback; send your iPhone 6 to GreenBuyback with free shipping and you’ll get cash sent to you fast!